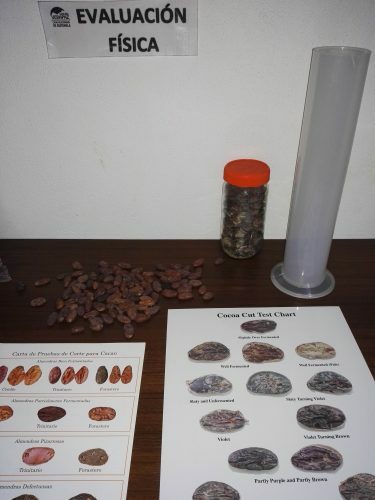 The final flavor of a cocoa bean depends on a lot of things, including how we roast and refine them in the factory, but beans taste the way they do largely because of how they’re handled just after harvest. 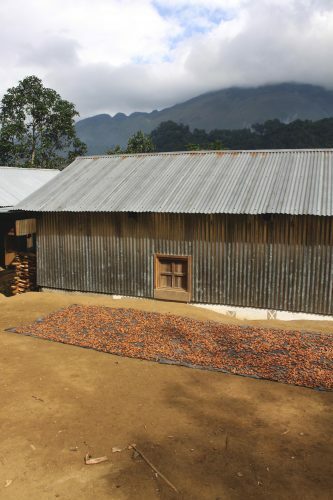 Sadly, the steps of post-harvest processing, fermentation, drying, and roasting, happen thousands of miles away from where the chocolate is being made, which means we don’t get to see them every day. As much as we would love to pick up our Valencia street factory and move it to the tropics so we could be a part of the day in and day out of fermentation and drying, I don’t think that is going to happen anytime soon… although don’t quote me on that. 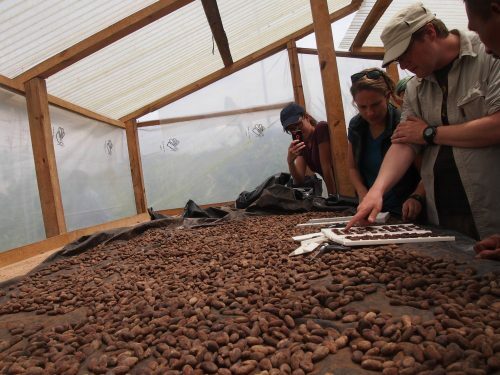 And so, we learn everything we can through producers, and through our Chocolate Sourcerer Greg, who visits them often. Sometimes we’ll even travel with him and take a shot at shoveling fermenting beans ourselves. 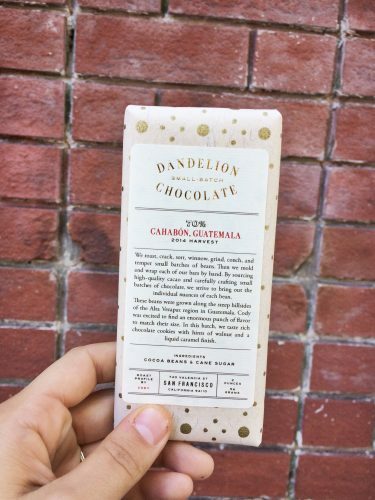 The craft chocolate industry is generations behind the coffee and wine industries—which are both similar to chocolate in many regards—but that means we’re still in our infancy phase, waddling around and learning our primary functions. There is still so much for us to learn about chocolate on this side of the supply chain, and because every partner at origin we work does things differently depending on the geography, weather, and politics in their region, collecting as much information as possible is critical to doing things better all around. One partner we work with who is addressing th e growing pains of the industry is Cacao Verapaz (CV) located in Cobán, Guatemala. 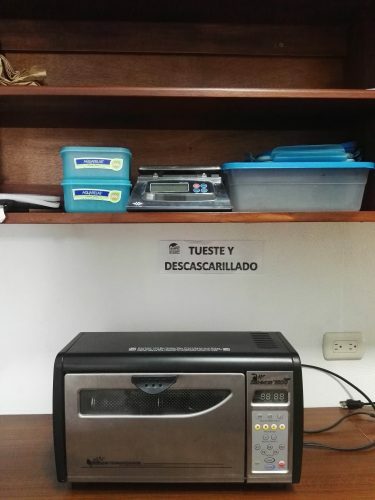 They’re the ones responsible for getting us those unique and tasty beans in our Cahabón bar. 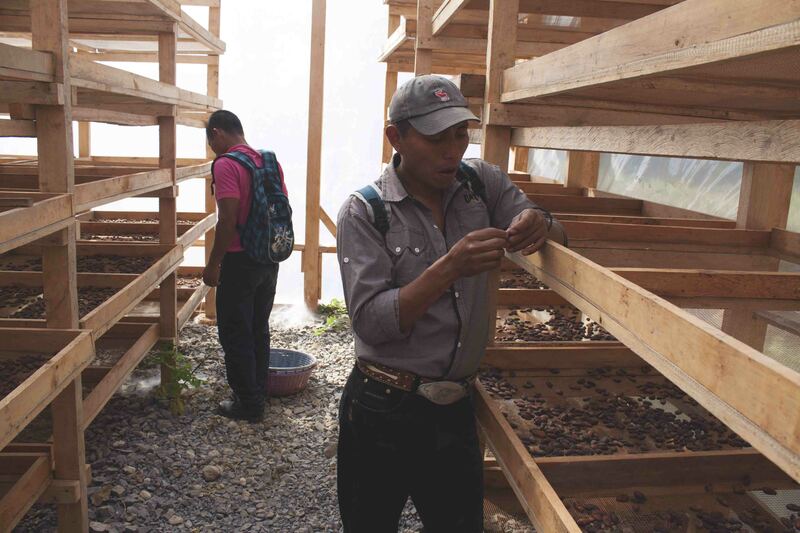 Started in 2014, Cacao Verapaz is a cacao buyer and exporter that invests in the technical, logistical, quality and market support for farmers from different micro-regions of Alta Verapaz in Guatemala. They work with the small and diverse farming communities tucked away along the steep mountains and lush riversides of northern Guatemala. I was fortunate enough to be sent down there for a few months to live in these primarily Mayan communities to create a transparency report for one of our partners. Within the Cahabón region, Dandelion buys beans from a community of just over 35 families who all share a fermentation and drying space up the side of a mountain, called Adioesmac. To get there, I hitchhiked up the main switchback road, hanging off the side of a pickup truck which was crammed full of people, chickens and crops, to get sort of close to it. After receiving a very typical rural community-like list of directions along the lines of “go to the corner of the road where the big rock is to the left of the Tigo sign and Pedro will meet you,” I somehow jumped off the truck at the right time and was picked up by the incredibly welcoming Pedro Tiul on his motorcycle who brought me down the rest of the semi-constructed road to the Adioesmac community. Needless to say, I neglected to tell my mother those details about my little adventure until after I returned safely to my apartment in Cobán. I’m restricted by my inability to zoom in further on Google to highlight the exact location, but this is the gorgeous view from Pedro’s home. 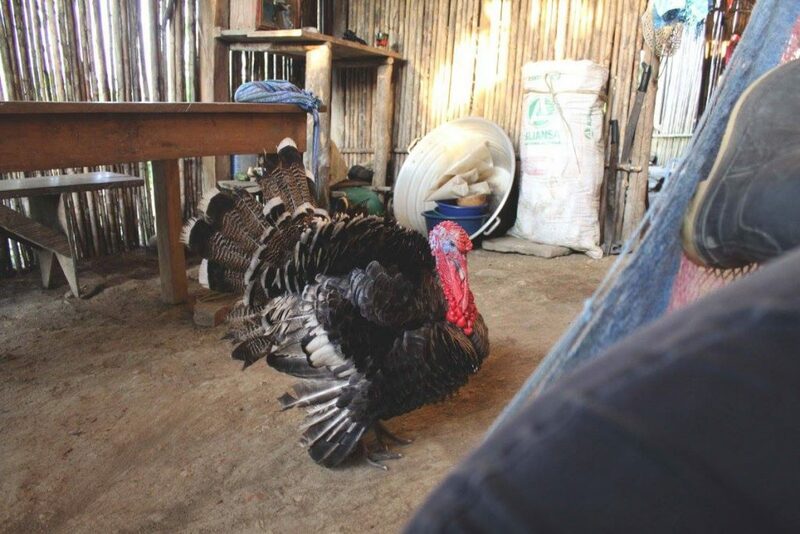 Chillin on my bed (hammock) at Pedro’s house with the house pet (giant Turkey). Historically, cacao-growing regions focus on increasing production over improving quality because there was no market for high quality cacao. 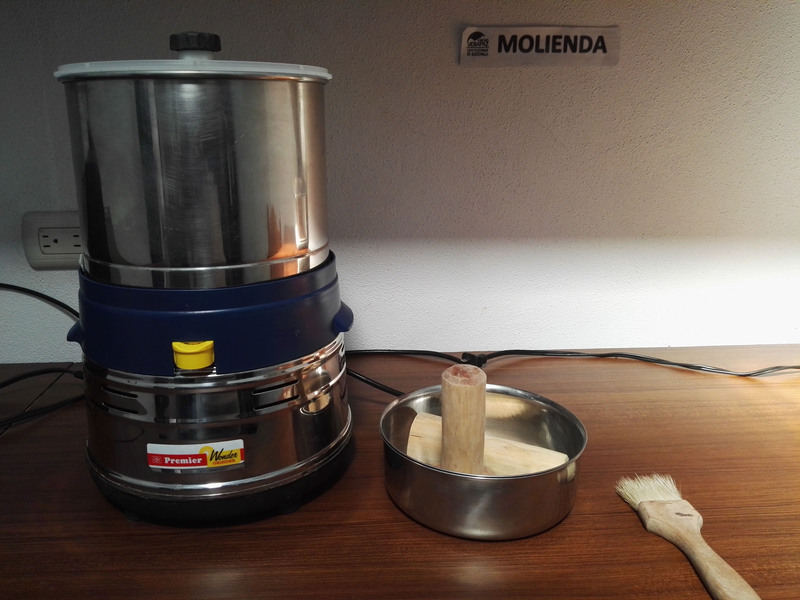 As the demand for high quality cacao (meaning good flavor with few defects, such as mold or insects) from chocolate makers increases, there is direct incentive for farmers to continue increasing the quality of their production, partly because because higher quality fetches a better price. 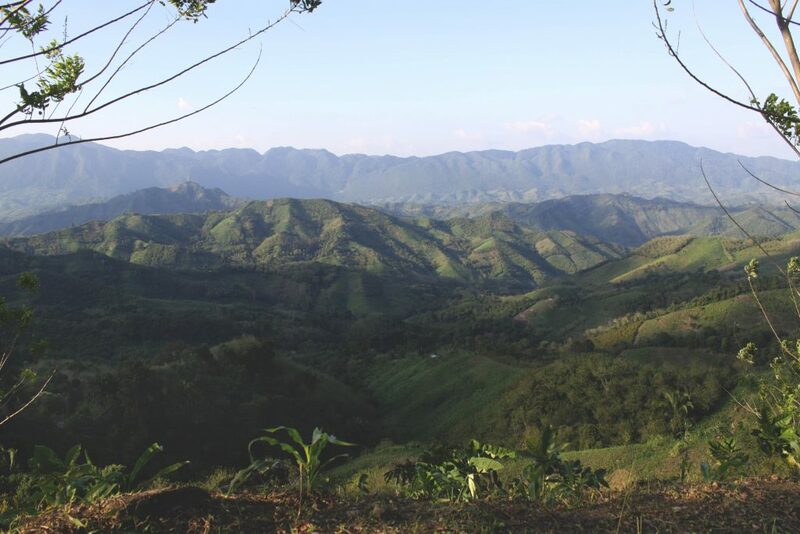 Cacao Verapaz positions themselves as resource to support farmers in increasing the quality of their cacao. CV has developed a tiered pricing system, offering more for A quality beans and a little less for B quality. But with the youthfulness of the industry, CV is simultaneously learning about what that means for each community through diligent feedback and data tracking. To describe all that CV does would fill a book, so I’m going to oversimplify some of the process in service of covering a broader slice of their work. Cacao Verapaz’s third employee, Roy Fraatz, is the technical assistant whose job is to spend most of his time in the field at the the 15 different associations that CV buys from. He teaches producers about best practices in the post-harvest process, and acts as a liaison between farmers and buyers. His role came about due to the demand for increased quality and reliability in cacao. The investment in their brand-spanking-new quality lab is a really exciting thing for the crew at Cacao Verapaz, chocolate makers like us, and producers. The lab looks not unlike our own R&D lab here at the Valencia Street factory, which makes our quality and flavor team drool (in a totally food safe way) a little. Ultimately, the space is going to be used to develop better quality control systems for lot-by-lot tracking and data analysis. 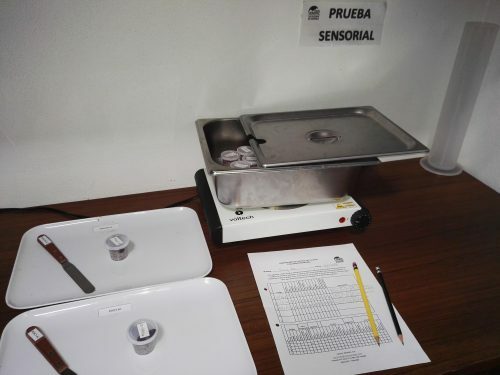 Among the many social and market based statistics they are gathering, the lab allows them to generate a better understanding of the cacao they’re buying and create quality standards for fermentation and drying to set their beans apart. A quality report is created for each lot that enters the lab, which is given to the farmers for feedback. Going forward, they hope to use this information to develop flavor profiles for each micro-region to be shared with chocolate makers. We’ve seen fermentation done in so many different ways, many of which come about through trial and error. 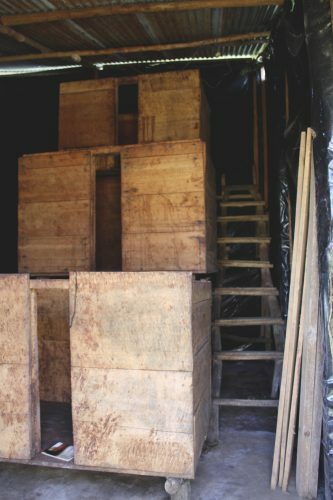 For example, the community of Adioesmac received beautiful and structurally sound fermentation boxes as a donation from John Scharffenberger years ago, and as part of Cacao Verapaz’s system for quality development, measurements like temperature, internal and external mold percentage, fermentation rates, moisture and seed indexes are all collected for each lot. 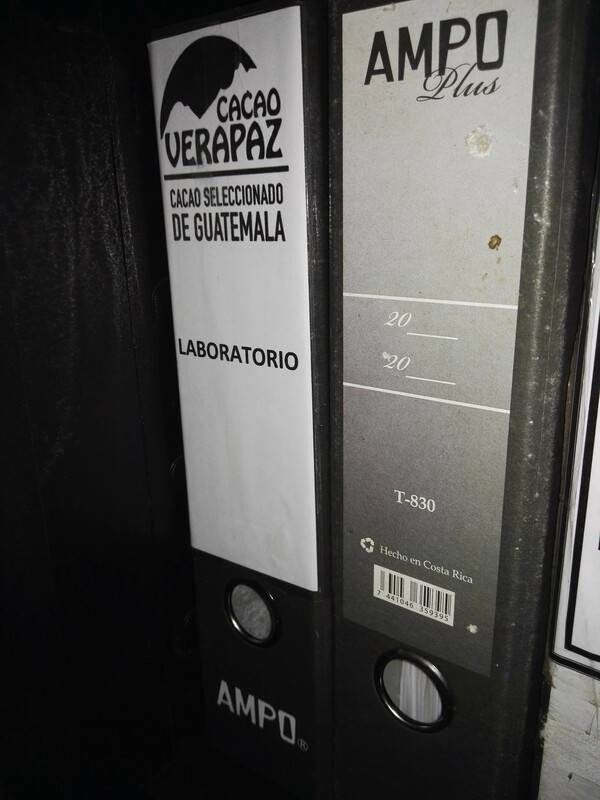 Once Cacao Verapaz began working with the community and testing fermentation statistics, they quickly realized that the boxes were way too tall to evenly rotate the cacao and some of the beans were getting too hot and unevenly fermented. Instead, the community reverted to two smaller boxes in the corner of the fermentation space. Now the larger boxes sit empty and serve as a reminder of their growth — or possibly a funky art piece. More traditional style of drying – note the impending storm! Stopping fermentation at just the right time, with just the right amount of acetic acid so that beans aren’t too bitter or astringent is, in a way, a lot harder than it seems. This is where we find another opportunity to develop better systems, and once again it happens through trial and error. Traditionally, farmers in these communities had dried directly on the dirt backing their homes. Not only did this mean a prominent amount of rocks and critters were able to easily get mixed in, but there was a significant impact from human and animal contact that could disrupt the the drying process. The cacao was also extremely vulnerable to weather as it was constantly exposed to the geography of the tropics. In order to address the inconsistencies of quality found in each family drying their own small lots, the community pooled together to dry communally on a concrete bed, reducing the amount of rocks, other crops and overall damage. The cacao here was still vulnerable to animals as well as exposed to weather which could cause the beans to mold. 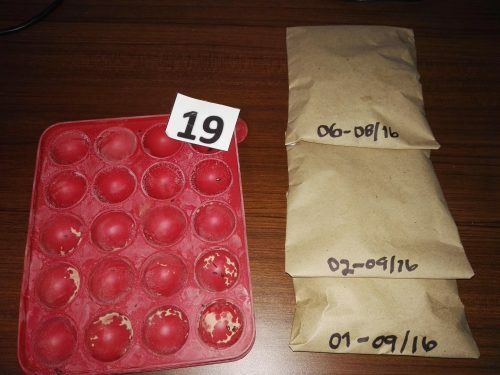 In response to this, Cacao Verapaz financed a raised and protected drying space. 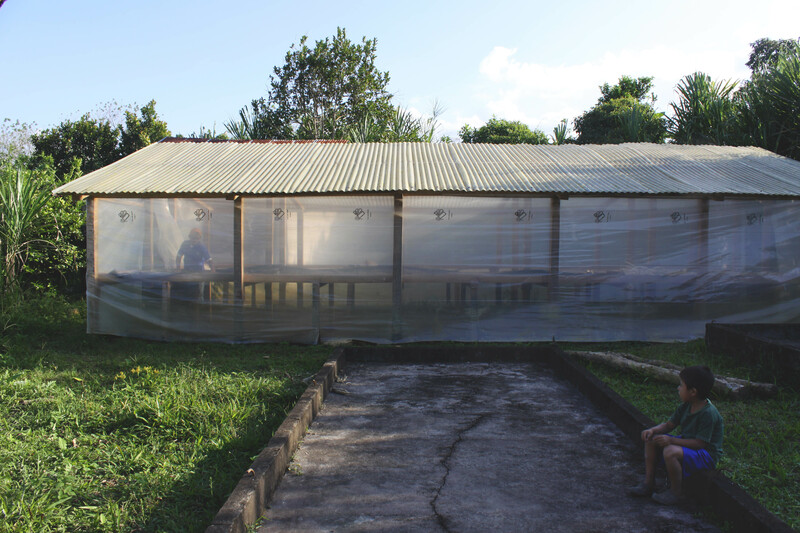 The angled roof creates a slight greenhouse effect to promote quick drying, with plastic on the side that protects beans from weather and animals, and can be moved to allow for more consistent airflow. It’s also raised to guard against ground animals and curious children. And hey, it’s ergonomic! Pedro Tiul working in the new drying space, while his son watches him from old, concrete beds. Farmers from the small community, Asochivite, visit the privately owned larger farm, Finca Los Planes. Cacao Verapaz, as of this year, works with nine tiny communities and four larger, privately owned farms. Taking advantage of this relationship, CV coordinates regular “field trips,” if you will, with representatives from the small communities to visit larger ones for a more hands on approach to learning about best practices. 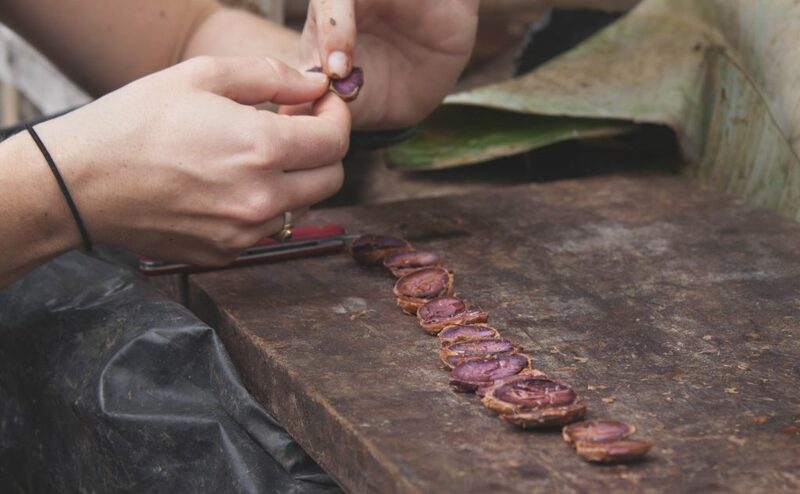 Cacao Verapaz also opens the door for farmers to learn from chocolate makers, and for chocolate makers to learn from farmers, by coordinating association visits. Our Chocolate Sourcerer, Greg, discussing fermentation, drying and quality at Adioesmac. 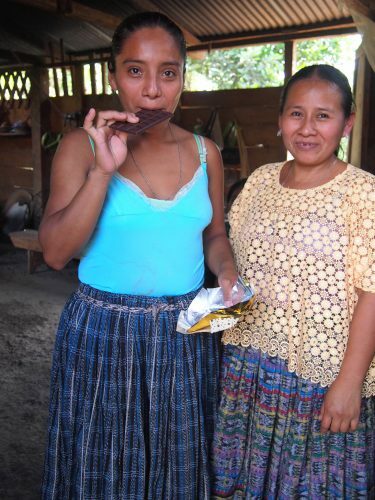 Women of Adioesmac trying Dandelion chocolate made with their cacao. 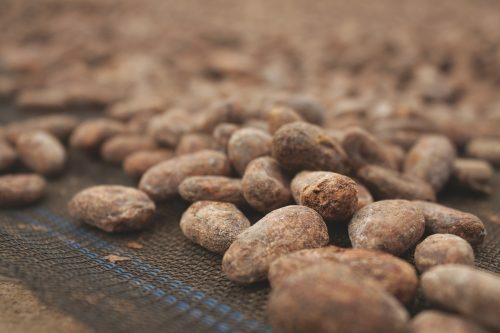 For some farmers, the first time learning about what happens to their cacao, often their primary source of income, comes from a broken translation between English to Spanish to Quechi. That would be like me making chocolate all day (which I do) and having someone explain to me, twice translated, how it gets to a customer’s hand. As chocolate makers, we’re fortunate we don’t really have that gap. So, in my absolutely non-expert opinion, creating the space for inclusivity within the industry, between farmers and chocolate makers who may not be able to talk every day, seems to deepen the motivation for us all to create high quality relationships and high quality products, especially when we get the chance to learn together. 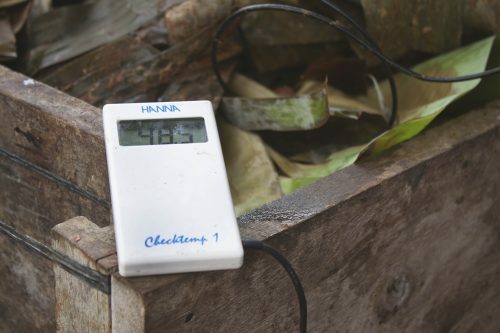 The experimentation and meticulous data collection Cacao Verapaz is doing is part of our industry’s effort to improve the quality of cacao, and our ability to communicate about what’s working. Ultimately, the more information there is available, the better able we’ll all be to make the best chocolate we can. That’s a win-win for everyone, including you!